There’s also an (updated) index of all the Cantos (and related sources) I’ve discussed so far. This is my fourth Cantos-posting this summer: hooray for momentum! Like Canto LXVI and all the remaining “Adams” Cantos, this one is short, albeit a little dry. This post is my attempt to dig into it and see what’s worth thinking and talking about. Canto LXVII is about law and laws, and about where the authority underlying them is to be located or placed in terms of John Adams’ thinking (and Pound’s, of course). Right from the beginning, Pound has Adams hearken back thousand years to the Dome Book—at the beginning of the Anglo-Saxon legal tradition—betraying a little of that anxiety about foundation and history that Adams, Pound, and so many other Americans have evidenced from time to time. But Pound’s Adams here is actually engaged in a legal argument, one that took place in the pages of Boston Gazette, about… well, about the basis of a monarch’s power and the basis of the rights of subjects, or what Pound renders in the third line as “folcright” (folk-rights). He’s specifically arguing about judicial terms of appointment and jurisdiction, but that’s just part of the bigger issue Adams is really getting at. This is “right” or “correct” as in “right naming” or “correct speech” and the reason Pound’s quoting it is because of its use in the Chinese word 正名—the previously mentioned “Rectification of Names,” which is the Confucian doctrine that things ought to be called by their proper names, and that in turn things ought to behave in a manner befitting their names or titles. Oh, but lest you imagine that the Rectification of Names is just some “ancient” and “philosophical” idea, here’s someone out there opining on Bitcoin and its misleading nicknames from a Confucian perspective, specifically in terms of that notion. (Of course, this piece treats the concept as if right naming is all that’s involved in the Rectification of Names, and ignores other implications, but it invokes the notion in the same Pound’s invoking it in Canto LVII, so that’s fine for our purposes. In any case, Adams here is holding forth about the roots of English law, basically as a part of his project to find legal justification for American resistance to English misrule, and for the bigger project of American independence. The grounds he finds is jurisdiction: he essentially argues that there are limits to the jurisdiction of the English government, and that the American colonies lie outside of that jurisdiction. Pound traces the argument through various exchanges published over the years, including one with “Massachussettensis” (the pseudonym of Daniel Leonard) where Adams (writing as “Novanglus”) argued about the right of feudal kings over feudal Englishmen,. and by extension the right of England’s modern King to the fealty of modern American colonists. Leonard apparently tried to make the argument float by focusing on “charters and contracts” but Adams went back to argue about the lack of a legal basis for it, noting the legal status of Wales and of Ireland—both, at least legally, being under some degree of limited English rule, Wales explicitly and Ireland by virtue of having its own Parliament—as the basis of his refutation. Adams goes into other examples—Cheshire is one—of territories within Great Britain which enjoyed some degree of self-governance or exemption from direct crown administration despite their status as members of the (then Scottish-English) union. 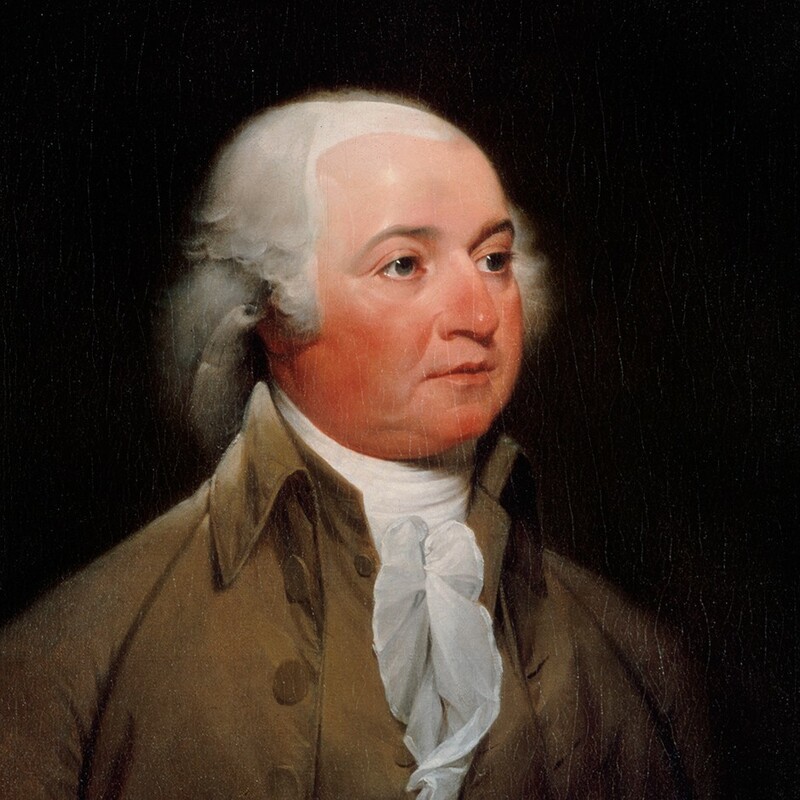 Adams dismissively asks how it is that the English Parliament is to rule over American colonies, and rejects it; he also expresses concern over the fact that the American colonies will soon need some form of government… but which form, and how, and on what grounds? impartial and of apt execution. or any estate to the value of 60 pounds. Little wonder Pound liked Adams, with all those Confucian-sounding exhortations to literacy and good humor. But it does a little deeper than that: according to Terrell (on page 319), Adams actually recommended “the encouragement of literature, the sciences, and a natural history of the province, as well as such personal qualities as charity, honesty, and good humor.” He sounds sort of like a nicer Malatesta, in some ways, or a cross of Malatesta and Confucius. Balance, Pound emphasizes, was important to Adams: hence the mention of Thucydides and all that business about fighting between the Ephesians, Cyrenians, Boeotians, and so on. Thucydides’ point is that factionalism overran Greece and gave rise to wars and death and mayhem… a sense of history that we already know very clearly matches what a lot of people of Pound’s generation couldn’t help but feel was echoed in the factionalism in Europe that led to World War I.
optime modice confusa, said Cicero. uni justitia non est, nec just potest esse. I don’t want Donald Trump to infuse everything said about America’s roots, nor do I really want to engage in the apocalyptic hand-wringing that’s come with every political crisis in the last fifty years (or more), but it’s just interesting to see that Adams had the possible failing of the government system he was arguing for, and that he quoted ancient sources who argued it was the best system while it lasted, but that it might not last all that long. With all the talk of “Constitutional Crises” in the air—yes, yes, I know such claims are good for ratings, but still—it’s interesting to see Adams mention that at all: it feels contrary to the idea so many seem to have about the permanence of the current American governmental system, as well as American hegemony generally. Photo by Jack from Leesport Pa., USA: Flick for source. The line isn’t a specific quote, at least according to Terrell: rather, it’s a kind of shorthand summary of ancient Greek thought on the subject, basically arguing that rulership of some sort seems to be justified in nature, akin to a sort of “great chain of being” that extends the power of rule to those with the most brains, and the property of being ruled to those of lesser brains. A dubious claim, obviously, and Adams seems to take issue with it, arguing that this European mode needs to be done away with: that ” orders of officers, not of men in America” is what is necessary for the proper implementation of the tripartite system he’s been arguing for. At least, I think that’s what’s going on here. It’s easy to see why Adams appeals to Pound: he makes fairly free with ancient history and ancient ideas, speaking of both with a kind of urgency that suggests he takes them seriously as present concerns, just as Pound does; I think beyond everything else, this must have pleased Pound to no end to have the pleasure of his (disembodied, literary) company because of it. He’s erudite and very serious, in a world where such traits were perhaps less appreciated than Pound wished. He was a supporter of the literary arts, but also of the kind of totalizing understanding of politics, conduct, nature, character, and government being all bound together, a “fascistic” (in the sense of “bound together”) sense of government’s role in human life. And where Pound spent a lot of time making art about historical echoes, we can see Adams working hard to realize an echo with history in the real world: like Pound with Homer, reanimating the ancient poem through a kind of act of eerie literary necromancy, Adams is resurrecting a system of governmental organization by giving voice to long-voiceless, silenced, dead souls by quoting and translating their arguments about the topic. Gorgeous poster, huh? Click through if you want to know where you can buy a copy. That, I think, is what’s really going on in this Canto: Pound’s Divus is Adams’ Locke, Milton, Nedham, Neville, Burnet, and Hoadly; Pound’s Homer is Adams’ Cicero and Tacitus, and those unnamed ghosts hunkered down in Neuchatel and Rhodes, waiting for those living in the 18th century (and the 20th, as far as Pound was concerned) to hear them speaking of a better way to live. And of course, add to thjis that Pound makes Adams another Divus, using his necromantic powers to speak Adam’s beliefs and arguments anew, for a new generation, and… did he really hope, for the foundation of a new civilization? Could Pound seriously, truly have hoped his Cantos could play that role? Maybe yes, still… or at least, maybe speaking as if he did could still seem anything but insane. As for my Pound, the fictional Pound character, well… there’s a lot of necromancy to think about. The notion of necromantic power originating not just in translation seems necessary, here: Adams isn’t being “translated” so much as fragmented and re-presented. Here it’s not translation, but straight necromancy: taking the written words of a long-dead man and giving them renewed voice, renewed context. What sort of occult powers would arise from that, feel slightly different, and it leaves me wondering how the Cantos as a book would function, magically: if the act of “speaking” (or just inscribing) someone’s words generates magical, necromantic energies, then this is a book of ghosts: ghosts of people met on ferries, the ghosts of the living (H.G. Wells is still walking around when Pound is writing this, and Eliot, and many others). It’s somehow a much eerier sort of magical book, with a much eerier magical process inhering in it, this way. Then there’s the question of America and why it concerns Pound so much that he devotes so much of the Cantos to it, when he has decided to leave America and not live there. Yes, America’s ascendance to global hegemon was probably ongoing, but for someone of Pound’s generation, was it already manifest (in their minds, at least)? One could pair this with his later radio transmissions and imagine some effort at magical influence on America, though I am reluctantly to magic-fun-woo stuff like that. I’d rather he was horribly misguided politically and a necromancer-poet creating a poem designed to “contain history” (in the sense of “containment unit,” not in the sense of “this box contains a surprise”). I’m hoping my sense of this gets a little clearer by the end of the Adams Cantos. We’ll have to see, though. It’s twenty-five pages till the Pisan Cantos. We’ll see if I can get there before the Fall Semester begins, but I have a busy August ahead of me.